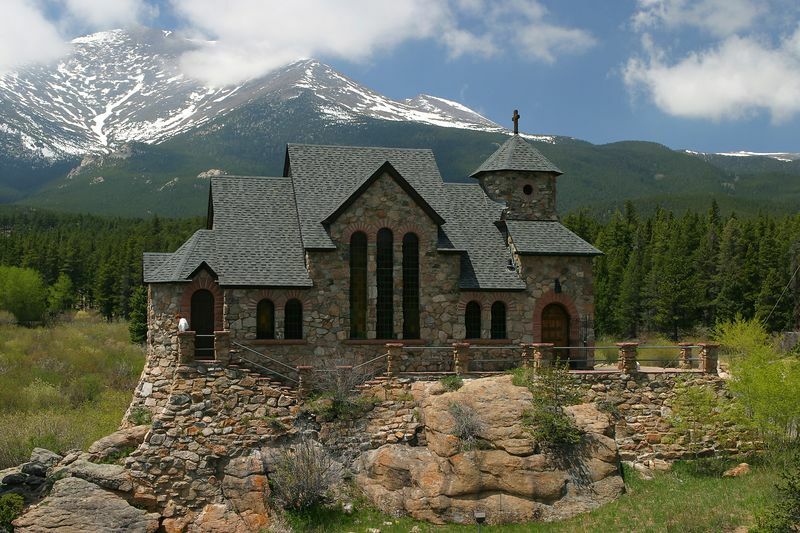 This is a little church high up in the Rocky Mountains. I've driven by it many times, and finally got to take a picture of it. It's beautiful and a wow also! Where is the parking lot or do you walk to the church? There's a small parking lot on the right side, below the church. As you can see from the person in the left front of the church its not very big. That shot alone would make anybody wanna go to that church. Very nice pic!! That's my favorite place to go hiking and picture taking. The name of that church is St. Malo. It's off Highway 7 south of Estes Park right next to Rocky Mountain National Park. The mountain in the background is Mt. Meeker, the second highest mountain in the national park. I'm sure barthold knows all those details though...just couldn't resist as I love RMNP! !